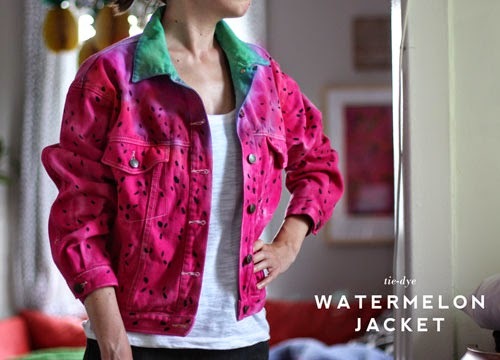 Watermelon and tie-dye are two of the hottest trends this summer. 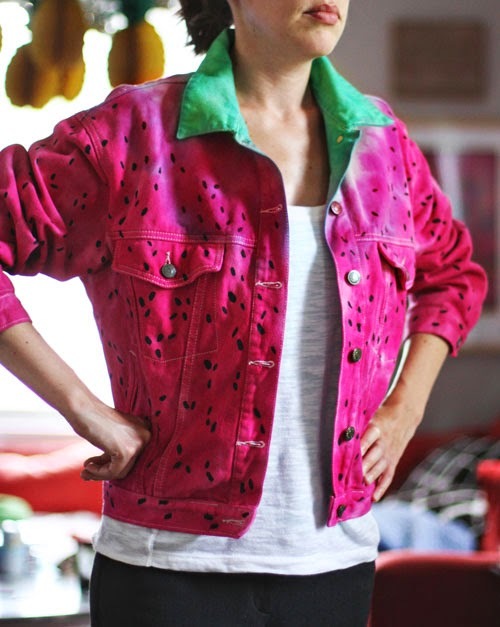 Thanks to tulip, an old jean jacket, and your washing machine, you can carry these trends right into the fall. Who wants to rock this awesome outfit their first day at school? Everyone. That’s who! Using the pink and green bottles from your Tulip One-Step kit, fill with water and shake thoroughly. 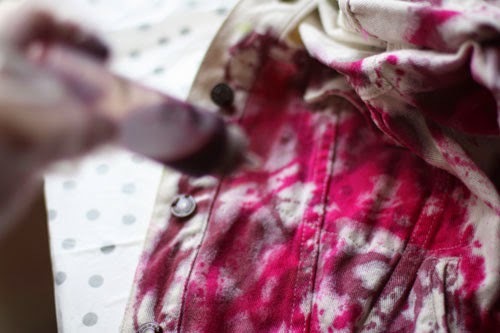 Starting with the green, lay the denim jacket flat and use the nozzle of the dye bottle to add green dye along the color. Be careful not to add to much as the color will spread with time. 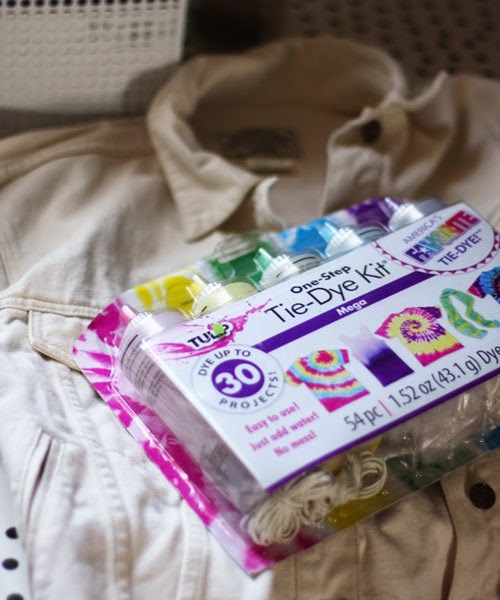 Add a rubber band at the edge of the green dyed area to discourage dye from traveling further. Repeat the same process for the pink area below. 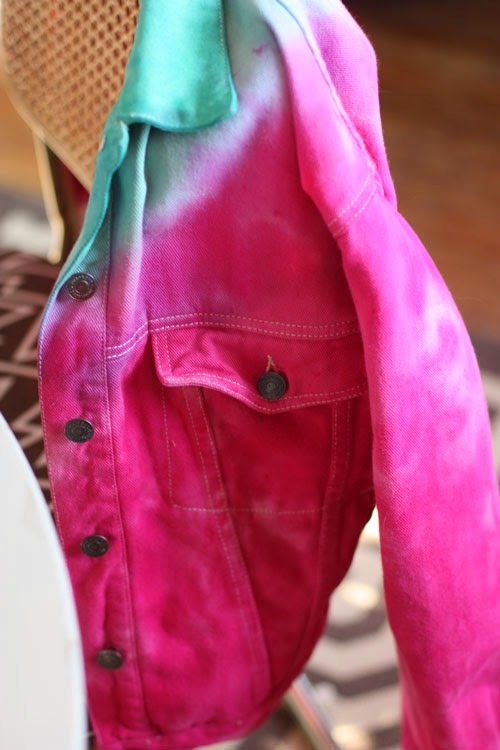 Depending on the size of your garment, you may find that one bottle of pink dye does not saturate the entire jacket, in which case, when the bottle is down to the last 20% or so, add more water, mix and go back to cover your garment. This will cause some organic looking variations in the dye patterns, which makes for a very realistic looking watermelon. Cool! 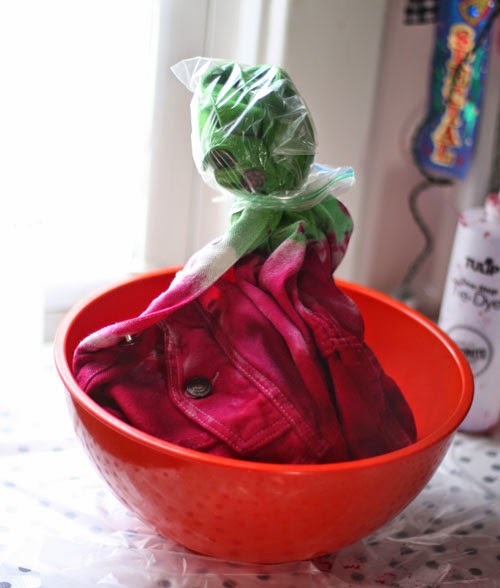 Seal off in plastic bags and let it set overnight. 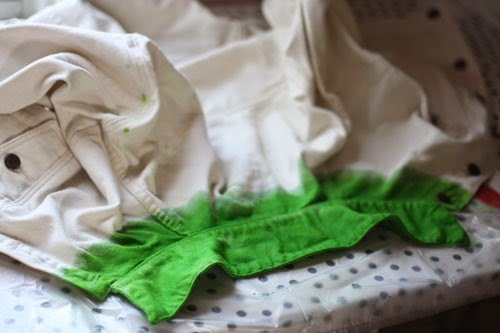 When the dye has set, rinse well with warm water, then throw it in your washing machine on the hottest setting with a small amount of soap. Dry as usual. Now comes the fun part! Use your Tulip Fabric market to add seeds in random patterns all across the pink surface areas. The more the better. 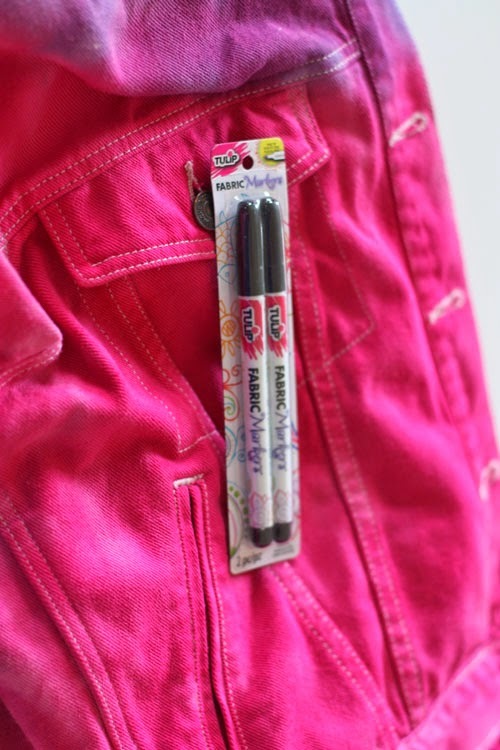 Now all you need to do is wear it and look awesome as usual. Have fun! Nice contrasting colors. The shading around the neckline is also very nice. Looks very nice.Tip: in the last water you rinse put 1/2 cup Vinegarit is like fixative.